Car keys, specially the ones on older models, rank pretty low in the totem pole of automotive technologies. Even electronic fobs aren’t that complicated when compared to the navigation and automated parking systems found on cars today. But, without car keys, one cannot perform the simple act of getting into a car and driving away. And when things don’t happen as you expect when using your key or fob, then frustration and agitation follows. Listing all the possible things that can happen on all the Honda model ranges and years would probably result in a document as thick as a service manual. But let’s take a stab at some commonly reported issues that have bedeviled owners of Honda vehicles. Normally, cars supplied with transponder keys will have two primary keys and a valet key. On newer Honda models that feature keyless entry, there may be a key blade will recessed into the key fob, as it is meant to be for emergency unlocking only. What’s common with these vehicle access devices is that both keys and fobs contain electronic circuits. Which in turn need to be powered by batteries. So that’s the first thing you check before further troubleshooting. If you’re not sure that the batteries are good, then replace them first. And don’t use flaky brands either. Button type batteries are too cheap to scrimp on. If you’ve replaced the battery and the problem persists, check the spare key, as the problem may be the circuit in the transponder/fob itself. Since not all Hondas currently on the road feature keyless entry systems, Honda car key issues can be divided into mechanical and electronic problems. So let’s tackle the possible issues using mechanical and electronic categories. Most of the mechanical issues you will see with Honda car keys involve the key itself or the corresponding door cylinder or ignition switch. No particular model or year is more, or less, prone to these kinds of problems. More often that not, wear is the cause of a key or cylinder not working. With key blades, wear will be quite obvious. In door cylinders or ignition switches, wear will not be so obvious, because you won’t be able to see the internal mechanism without disassembling the ignition switch assembly. Looseness when turning the key in the door lock or ignition switch is a sign of wear. If the key goes in easily but sticks when you turn it, then one or several of the pins or wafers in the cylinder is worn. The usual fix is to replace both the key and switch. A locksmith may be able to rebuild the cylinder by replacing one or more pins or wafers. He can also cut a fresh key to replace the worn one. You will need to judge for yourself what the better solution is, depending on the cost. If you try to insert a key in a door lock and the key goes in partially, then an obstruction is the obvious conclusion. As the door lock cylinder is exposed to the elements every time you insert the key, grime working its way in is a given. Sometimes, a strong blast of compressed air may be enough to dislodge the dirt inside. On older cars, sticky pins or wafers may also be the cause. You can’t use any kind of lubricant to free the mechanism. You should use graphite powder. Using oil may initially free up the mechanism, but it will also cause faster dirt buildup inside the mechanism, and a repetition of the problem sooner rather than later. With door locks, you can also encounter the issue of turning the key, with the door failing to unlock, or just one door unlocking, instead of all the locks as expected. In this case, the problem is not the key itself but the mechanism connected to the lock, or the actuators having failed. One or several lock actuators failing at the same time is not unheard of. It should be noted that many of these failing actuator reports are not limited to specific Honda models but are common to vehicles manufactured from 2007 and the years previous to that. At this point, these failures may simply be due to age. With theft prevention, convenience and ease of use, car manufacturers have adopted transponder technologies and keyless entry systems. But even with extensive testing and field trials, it is not unusual to hear of issues cropping up when real world customers use these newly-enabled technologies. These sophisticated systems have brought their own set of problems for manufacturers and users alike. Vehicle owners have gotten used to throwing old school (ie mechanical actuation) keys around that they think nothing of doing the same to more contemporary keys or fobs packed with electronics. Manufacturer testing would have looked into these usability issues, but electronics are not impervious to shoddy treatment. We are all familiar with how electronic stuff can suddenly stop working for any number of reasons (shock, vibration, RF interference, low voltage, water or moisture). As we said at the start, make sure that the battery in your fob is in good condition before troubleshooting. No use trying to solve a problem with a fob and car pair that don’t communicate if the battery is not delivering a proper voltage. 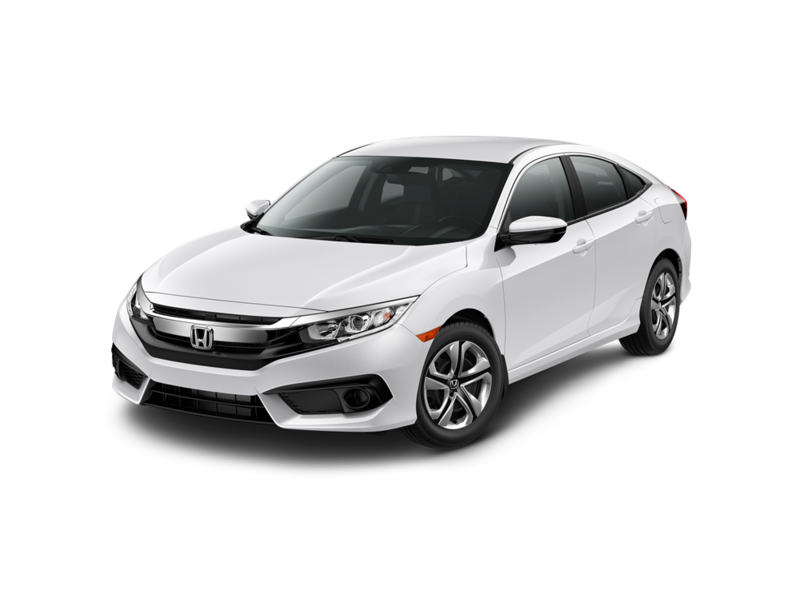 One of the more common issues with Honda car keys that you will see is with the 2016 and 2017 Civics equipped with keyless entry systems. Problems reported include faulty immobilizer modules where the engine starts only after several tries. The solution for this is to take the car to a dealer to have the immobilizer module replaced under warranty. There is also a system timeout issue where the keyless entry system fails to work after several minutes, with the system seemingly going to sleep mode. The problem here is not the fob itself but rather the receiver module in the car. The fix for this has been to replace one or more modules in the system, or even the door handles themselves. However, a DIY fix reportedly works for this particular issue. One disconnects the car battery cables (both, not just the negative), and then waits ten minutes. The push start button is then pressed to discharge the capacitors in the circuit, after which the battery cables are reconnected. Though this may not work for some cases, this DIY hack is very easy to do and does not risk damage to the car. On early 90s Civic and Accord models, transponder fobs are reportedly failing more frequently these days. Fortunately the fixes for these issues are cheap and relatively easy. Replacement shells or transponder key blanks can be found online for around $10. Following the method described in the manual may allow you to reprogram the key yourself. Otherwise, most automotive locksmiths are very familiar with the process of cloning or reprogramming these keys and charge very reasonable rates. Bear in mind that there are a lot of these cars on the road, and these are cars manufactured in the 90s, so age and wear are major factors in these increased failure rates. Another issue that has been reported is a fob not working at the expected range, meaning that the fob works only when you’re very near the vehicle. If you’re sure the battery is good, then it may the the fob antenna that’s faulty. This occurs with older fobs. There also have been reports of smartphones interfering with fobs. Radio interference between a fob and other transmitter devices, though rare, is not unheard of. As of 2014, more than 70% of cars sold were equipped with keyless entry systems. It’s safe to say that problems such as this are bound to occur regularly until the technology is sufficiently robust to withstand the treatment real world users subject these fob to. In the meantime, using Honda-specific forums is a good idea to keep you abreast of issues affecting your car. Is your key stuck in your ignition? Contact us to resolve your issue quickly, without damaging your ignition.